Explore, Learn, Have Fun! 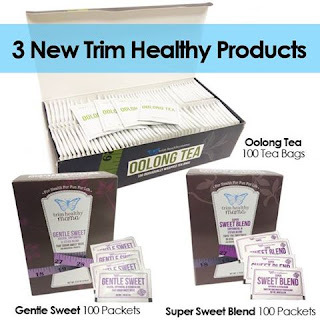 : New Trim Healthy Mama products available! "A tad excited!!! Announcing three new Trim Healthy Mama products. Organic Oolong tea (which I am sipping on now and finding it hard not to brag on the flavor and quality of this stuff... I guess I just did). To go packets of your favorite sweeteners! We've had hundreds of requests for these and they're finally here. Now you can take packets of Super Sweet Blend and Gentle Sweet with you! My purse is currently full of them because I love a squeeze of lemon and some sweetener in my water wherever I go (especially sparkling water) but great for tea and coffee too! Doonk spoons and Pure Stevia Extract have been turned back on." Visit this page to order yours! So excited to try the THM Oolong tea - it supposedly revs up your metabolism....vrooom vroom! I have been able to find it at Big Lots occasionally, but I am on my last box of tea bags so I'll be ordering from THM soon!